Traditional Indian outfits are beautiful, often hand-crafted pieces of art using traditional methods of embroidery and design that have been around for hundreds of years. It can be a daunting prospect to learn about so I've decided to give you all a quick intro to the most popular Indian embroidery types (that you've probably worn) broken down into categories. Here's a quick intro on three of the most popular and easily recognizably North Indian embroidery styles! Chikan is an intricate and light style of embroidery originally from Lucknow that is commonly seen style on Indian kurthas. It's usually seen on light fabrics, such as cotton, linen and chiffon, making it pretty fantastic for a sweltering summer. Kashida is a style hailing from Kashmir that uses a single stitch and motifs from nature, such as, birds, leaves and trees. It is not just found on clothing but is also popular on shawls, throws and pillows. Phulkari is a famous, colorful style of embroidery from Punjab focused on floral patterns and designs. It's known for its bright, colorful designs that fully consume the clothing or item, leaving very little or no blank spaces. Rose Quartz is one of Pantone's colors of 2016 - and a color I'm dying to add to my wardrobe for the spring season. That is, once my parka is no longer my number one fashion item. I've recently become a bit obsessed with all of the Pantone colors for 2016. They're all soft yet strong hues that are perfect to add to your wardrobe without worry that it will be out of style by next season. I'm starting out by focusing on Rose Quartz, which is a muted rose tone that can carry a standalone dress or coat but can also be a great color for an accessory. I've compiled some of my favorite pieces for you - some more muted and some a bit stronger - but mostly in floaty, ethereal fabrics like silk/chiffon or sturdy fabrics like twill/denim as I think the color can get a bit cutesy in more casual fabrics. I've been spending more time on Pinterest lately and have been particularly enamored by the idea of romantic glamour. Soft fabrics like velvet in dusky, natural colors, like dusty rose and hunter green, have been circling about my thoughts and my recent consumption of seasons 4 +5 of Downton Abbey hasn't helped. 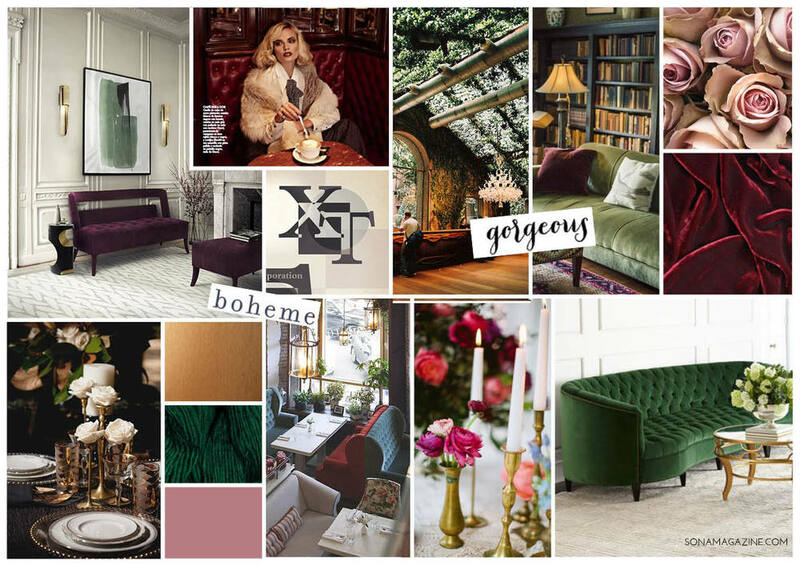 I've put together a moodboard to help inspire you - maybe you're updating your bedroom or looking to change up your wardrobe. Whatever it may be - we're all in need of a little romance/glamour in our lives!